Sewing, crafting, knitting, crocheting, quilting and woodworking are among many categories of “hobbies” that people embark on and end up with beautiful handmade items they can sell. The sky is the limit on what you can make, and then sell for a good profit. How To Sell Your Handmade Items will get you enthused about selling the products you already make, or get you headed in that direction. We want to help you by giving information on how and where to sell those products that you have made. We have had over 40 years experience in making various products and utilizing many different avenues to sell those products and we’d like to help you sell your handmade items too! 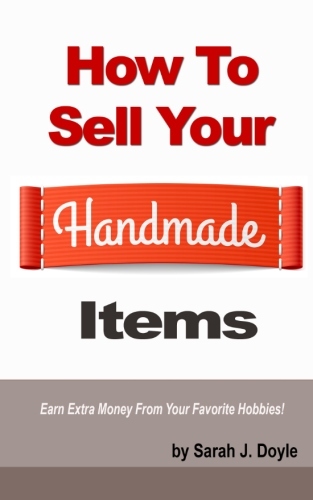 There are some specific websites where you can sell your handmade products and make a great deal of money. In addition, there are sites where you can sell your patterns, if that’s what you prefer. We recommend one very highly and we are doing very well selling our product patterns there. Get this new year off to a good start! Don’t wait another day – check out this book — the price is only $7.95 and you can download it immediately and get to work today.